As my telescope is an ATM project based on C63 Zeiss lens, it’s hard to say the exactly first light, as there was some test-and-adjust work around the telescope before the actual situation. Probably the first light was during a public night in June 2003. The telescope was on my GPDX equatorial mount and it was a surprise to observe Jupiter – there wasn’t any “haze effect” typical of most small – and roughly made – telescopes! I got some “off-socks” views of my favourite double stars – Mizar, Albireo, Epsilon Lyrae. The manual pin-point star and diffraction pattern! I have not a good backyard observatory, as I live not far from the center of town, so light pollution is quite heavy. More, after some people had a window crashed by thieves, most neighbours have set up backyard lights to fight with the latest corner of darkness. 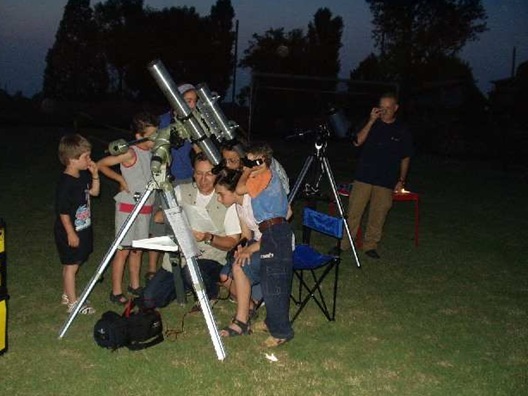 I like very much to ga around town and in the countryside with telescope, observing manuals and, most important, friends to share the beauty of the universe. I am most intrigued by double stars, both famous doubles (Algieba, Mizar) and unknown (like many Struve xxxx). Well, hard to say, probably our Moon at first quarter. Very sharp details! 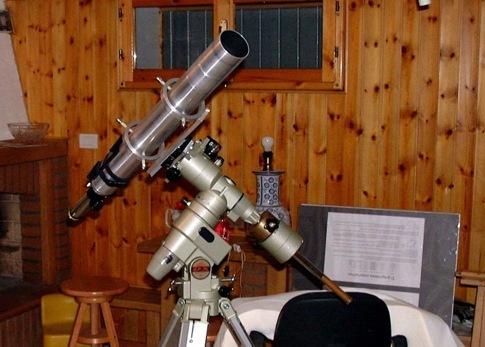 I use mainly Televue eyepieces, Plossl from 10.5 to 32 mm, a 15.4 mm Svarowski and, top of my eyepiece collection, Naglers 7 and 4.8 mm. I must say the Telementor is much better of Televue Pronto in high res observing. More, I love my own work made to set up the telescope. Cons: the diameter is small, you get a fatal attraction toward bigger Zeiss lenses. Nah, I don’t like to drive the car, the roads are always full of traffic, the motor makes a lot of noise and drink too much fuel.